Two part Cherry Raffle Strip Tickets. Each ticket is part of a numbered pair. 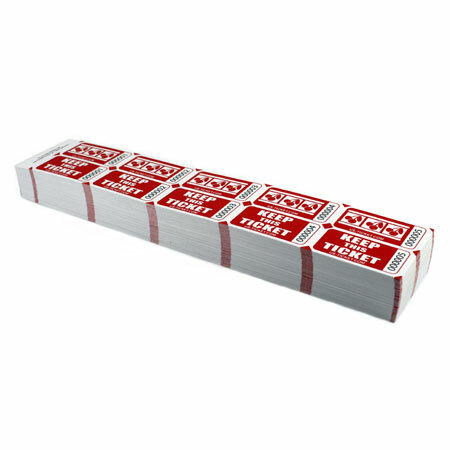 Printed in red on a bright white heavyweight card stock and booked in packs of 500 tickets. Five two part tickets per strip, 100 strips per booklet.